After a catamaran cruise across Lake Wanaka to Mou Waho Island—which sits in the middle of the lake—spot rare native birds that are extinct on mainland New Zealand. Thanks to successful conservation efforts, the island is a rare haven for birdlife. 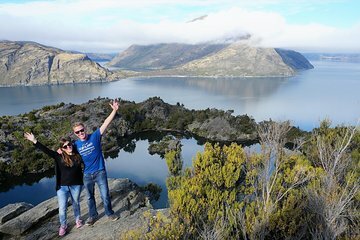 Enjoy a guided hike with an expert guide to a lake at the top of the island, an experience that’s rated one of the best must-do activities in Wanaka. Near Wanaka lakefront. 100 Ardmore St Wanaka.